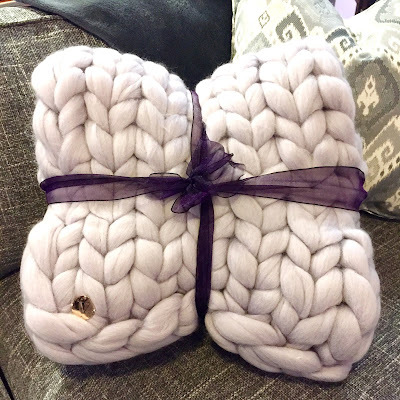 How cozy does this blanket look? It is the softest, fluffiest thing I've ever seen! It's from this brand that I've been stocking on Instagram for a while now and finally took advantage of their recent Dutch auction to bite the bullet and purchase one! I do not regret my decision one bit and it was totally worth the wait! The best part, in my opinion, is that they are Canadian-made. I like supporting local brands, so this was an added bonus. Be sure to check them out! These blankets would make awesome birthday, Christmas, wedding or just-because gifts! For as long as I can remember, I've been a fan of the colour yellow and I have a soft spot for mustard. 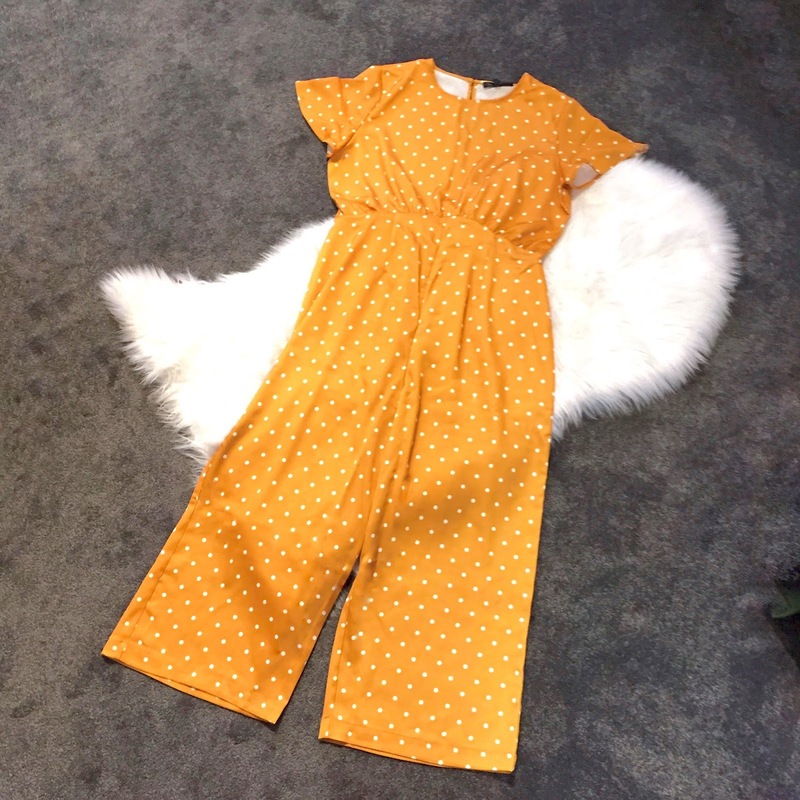 That is why I couldn't pass up this gorgeous polka dot jumpsuit when I saw it! It is the perfect transitional piece to wear at the end of summer and deep into fall. Simply add fun accessories and strappy sandals for August and layer chucky cardigans and booties for fall. I had spotted the dress in the same fabric and did not love it when I tried it on. But, when I saw the jumpsuit version, I was sold! It's comfy and more versatile than the dress! I plan on wearing this on repeat come the cooler temps! Shop it, and others, in the widget below! For those who've been following me a while, you know I love my David's Tea! Well, a couple years ago, my colleague and I started a tradition of purchasing the 24 Days of Tea sets to drink in the office during December. We get to enjoy the flavour of the day together and love discovering and discussing new flavours. All that to say that the selections come in these tiny little metal canisters (like these ones). Once all the tea is gone, we felt bad disposing of the little canisters so I thought of a way to reuse them! I washed all the little tins (the sink water smelled like a mishmash of teas...) and dried them meticulously. I then cut up little circles out of dollar store felt to line the bottoms. 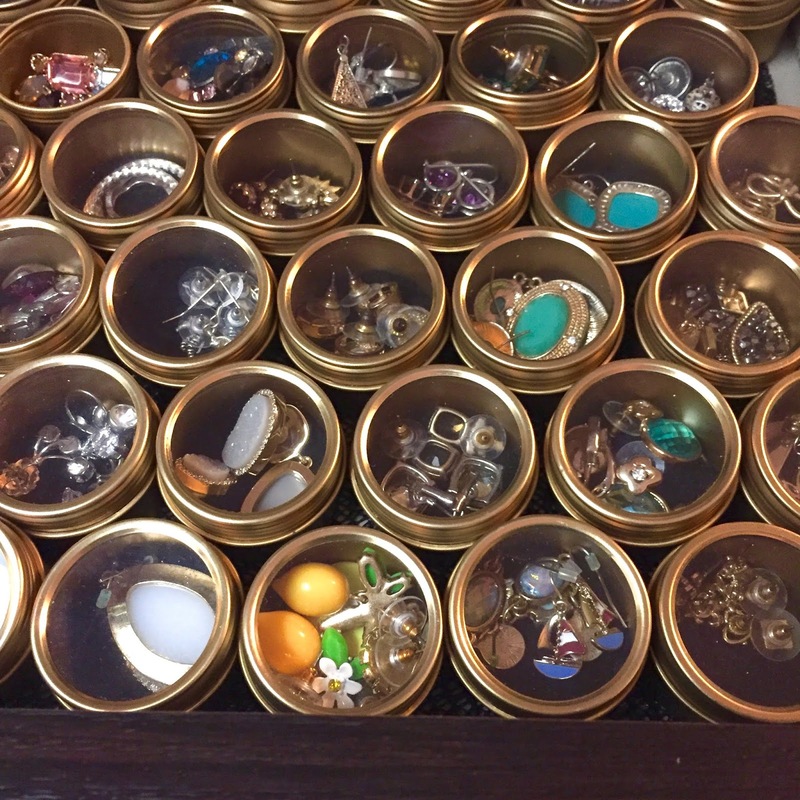 They became the perfect earring storage solution! I lined them all up in my dresser and revel in my organizational genious! 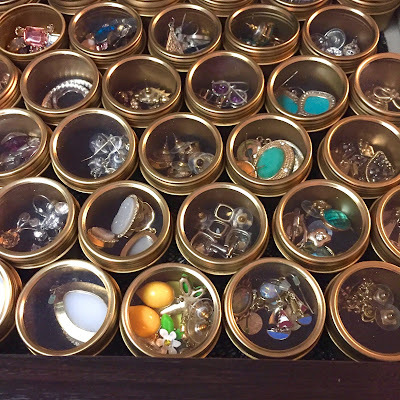 It keeps them all organized, protected and I get to see what is in each tin because of the clear tops! Like the idea? Be sure to snag your own teas to get the tins! I'm attracted to slogan/graphic t-shirts like a magpie to shiny things. I simply can't pass them up! 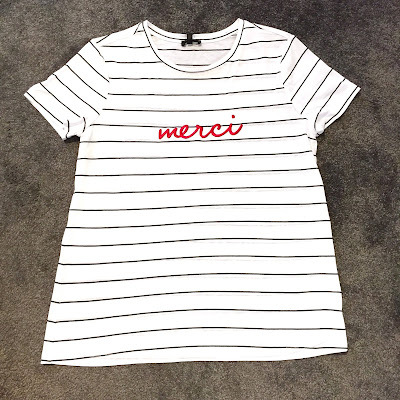 When I spotted this striped beauty with the word "Merci" embroidered in red, I got weak in the knees. I'm always on the lookout for French sayings because I prefer them, but they are hard to come by! 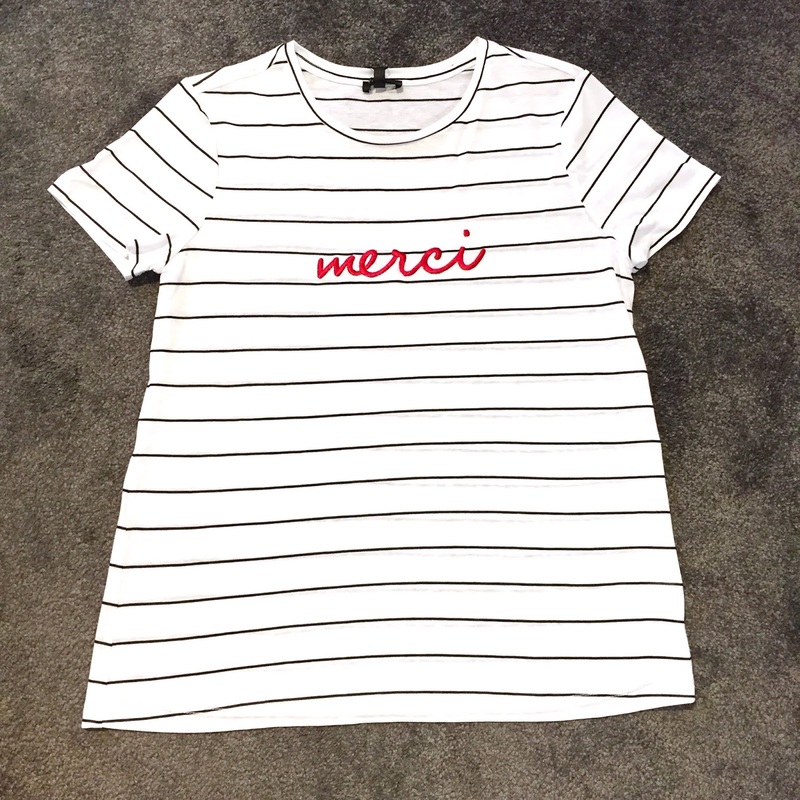 This tee not only had a French saying (in red, no less), but it was also striped! This is like the holy grail of slogan tees for me! I also couldn't help myself from snagging this one too! It will be perfect for those days when I just don't give a F**k.
So, my fiancé dragged me to yet another flea market the other day... He loves them and I find them just OK. I indulged him and went exploring. While he was digging through old cassette tapes, I had a look around. Even though I was not expecting to find anything, I actually did pretty well for myself! I found an old wooden yardstick that will be the perfect addition to my sewing corner. I also found a vintage vinegar bottle. I love putting vinegar on my fries, but had yet to find a bottle, so I can check that one off my list! The pièce de résistance though was this cute little basket! I knew I needed it the moment I spotted this beauty! With the straw bag trend still going strong, I saw the potential right away! 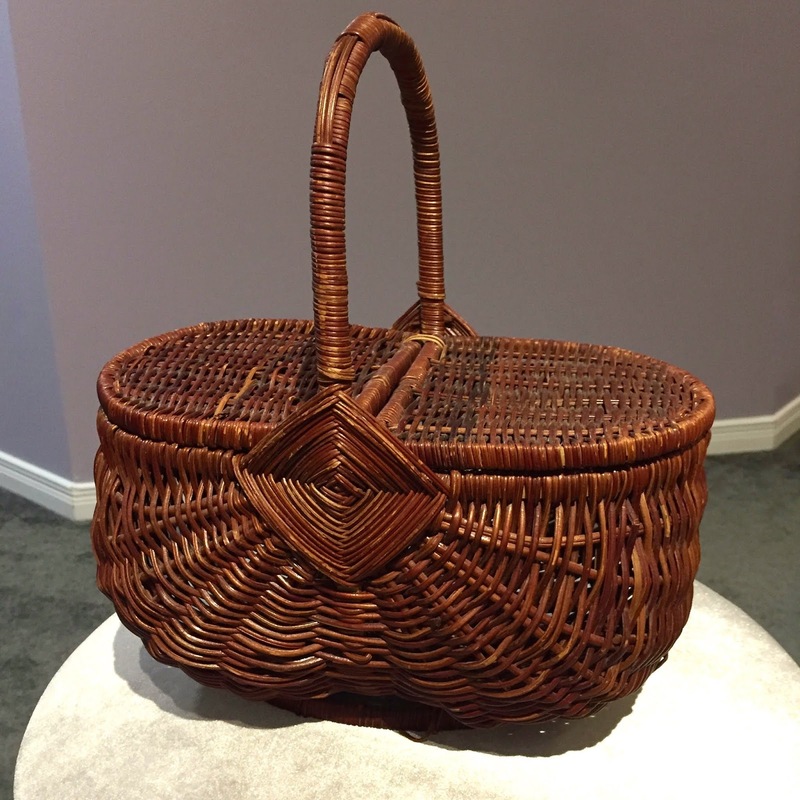 It is the perfect size to use as a purse and it has that perfect basket look because it IS a legit basket! The best part is that nobody else will have one! I love it when I come upon little treasures like this!